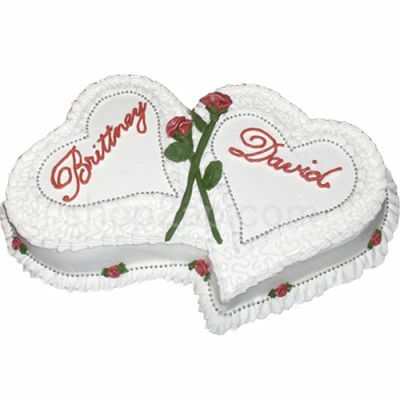 Double Heart Cake is one of our novelties.The Double Heart Cake consists of two heart shaped cakes attached together.This heart to heart arrangement of cakes is quite romantic and popular. You can send cake online to your beloved on happy occasions such as birthdays, anniversary and Valentine’s Day.The Double Heart Cake is beautifully decorated and makes an invaluable gift. It enhances the joy of every happy event and makes your events magical and memorable.The Double Heart cake comes in five delicious flavors of pineapple, strawberry, vanilla, butterscotch and chocolate. We offer home delivery service and midnight delivery service to our customers.